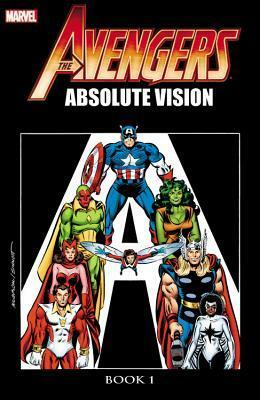 To begin with, the ‘Absolute Vision’ story of the title doesn’t actually kick off until Absolute Vision book 2, which can be read and understood without any reference to anything reprinted here. One suspects, therefore, that the misleading title is to lure unwary readers into shelling out for largely mediocre material by implying it’s connected. 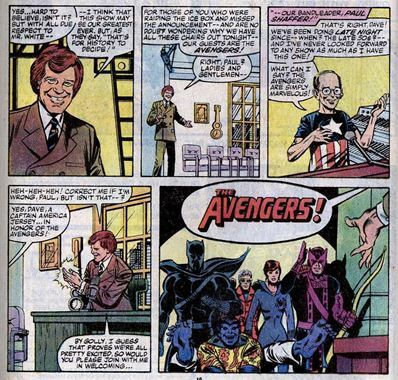 What’s here is a sequence of 1980s Avengers issues written by Roger Stern now able to conceive his own stories rather tidying up the plots of others. 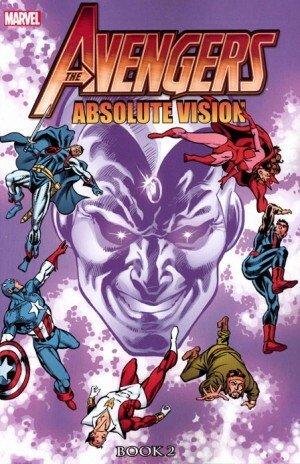 It displays that while he may have later produced memorable Avengers runs (Under Siege, The Once and Future Kang), a long period of humdrum material is what it took to arrive at that point. 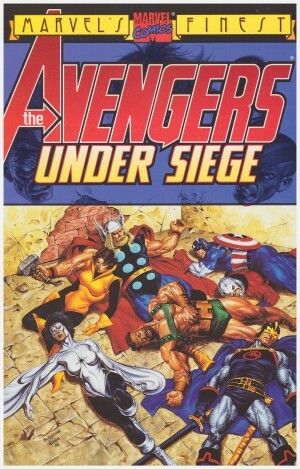 Stern makes his mark relatively quickly by refreshing the Avengers line-up. Out goes Iron Man, and in come the new boys. The former Eros is re-christened as Starfox in a particularly cringe-inducing sequence (“You’re a pretty foxy guy and you’ve been among the stars”), and Spider-Man also briefly signs up. 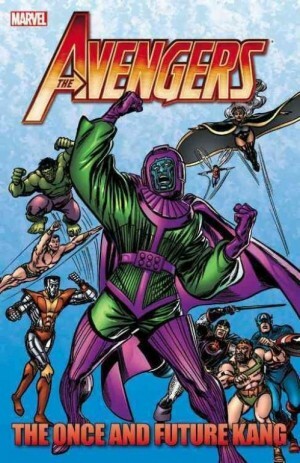 He was a statement of intent by Stern, having been one of the few long-running Marvel characters to have no association with their premier super team. On a positive note he also prioritises the new Captain Marvel. She may have been created to prevent DC reclaiming copyright of the name, but Stern and John Romita Jr provided one of the very few African-American women seen in comics of the era, ensuring she was among the most powerful Avengers. The Spider-Man annual in which she made her début is among the content. The very ordinary standard of both Stern’s writing and Al Milgrom’s art is highlighted when John Byrne co-plots and illustrates a couple of early chapters in his graphic style. There’s space rather than clutter around the cast, and while the scripts remain wordy, the dialogue balloons aren’t battling the art. Even the accomplished inking of Joe Sinnott can’t provide his usual gloss for Milgrom. Mid-way through the Vision takes centre stage for a chapter, having been shut down until that point. Starfox uses advanced alien technology to interface with the Vision, repairing his android circuitry and providing a considerable upgrade. He can now integrate with the Avengers computer systems and project holographic versions of himself within the vicinity of them. It’s from this point that Stern’s work improves slightly, delivering a slot on Late Night with David Letterman, and tossing in numerous guest stars in a tale tidying up loose ends from the recently cancelled Spider-Woman series. Whatever the problems with Stern’s scripts, he never descends to the cliché of pitting heroes against each other due to a misunderstanding. 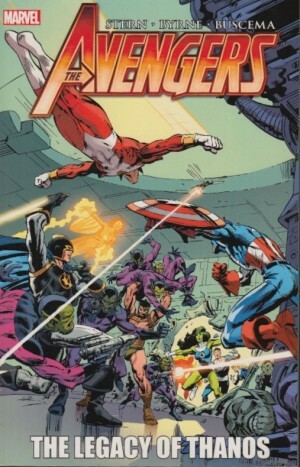 That’s the theme of both Avengers annuals forming part of this collection written by others, with the team facing off against the Defenders, then the Inhumans.